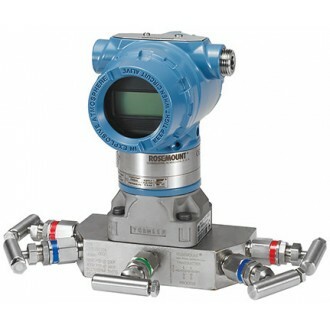 The Rosemount 3051C smart pressure transmitter combines advanced technology with the versatile Coplanar ™ process connection to create a new standard in pressure measurement technology. Even under the most demanding conditions, the performance specifications of the 3051C provide unmatched long-term stability and reliability. The 3051C is capable of differential, gauge, or absolute pressure measurement. Utilizing advanced capacitance sensor technology (piezoresistive sensors for absolute pressure models) the 3051C is accurate up to ±0.04% resulting in total operating performance, the true measure of "real-world" transmitter performance, of ±0.15%. Additionally, the Rosemount 3051 pressure transmitter has an installed five-year stability of ±0.125% demonstrating the ability to maintain performance over a five year period under the most demanding process conditions. The high accuracy and stability of the 3051C equates to reduced variability, lower operating and maintenance costs, and improved plant safety. The 3051C can utilize either traditional flanges or Rosemount's versatile Coplanar ™ platform designed to enable the best process connection for pressure, flow, and level applications. Right out of the box, the solution arrives factory calibrated, pressure-tested, and ready to install. 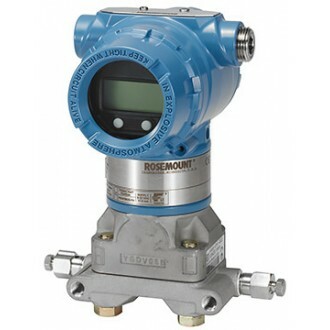 The Rosemount 3051C smart pressure transmitter is also available in a number of materials and a wide range of hazardous area certifications are available.